Happy April Fools! And more importantly; Happy Birthday to my best friend Naomi!! Yesterday, Naomi, our friend Sophie and I headed into the heart of London to Regent Street for a celebratory Afternoon Tea Service at the famous SKETCH! We arrived at exactly 3pm on the dot ready to feast like the queens we are! 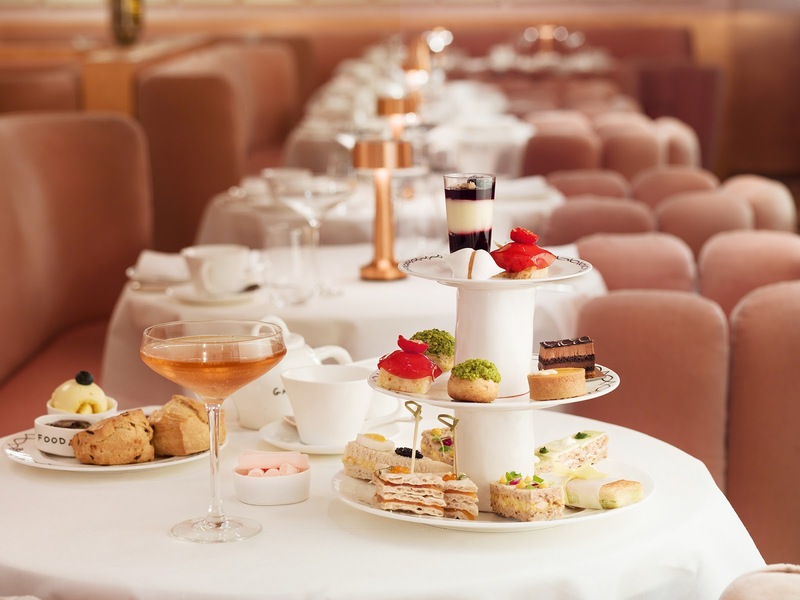 The menu offered a general Afternoon Tea service with a huggee list of all the cakes, sandwiches and pastries. There was also a great tea list, from white to green and all in between! Naomi went for a simple black tea, Sophie for an Oolong, I opted for the "Flowing Osmanthus Green Tea" as it sounded elaborate and dramatic! And it certainly did not disappoint! After a short while, the FOOD was served! The lighting was very low and evening-esque so all my pictures were a little dim. Here is one from the website so you can get an idea for the amazing set up! It was delicious! My favourite was the mini toasted cheese panini. They seem to have fried the outside after grilling the cheese, giving it a crispy and moorish taste! My other favourite was the smoked salmon and cream cheese. No words... Just no words...! As if that wasn't enough, next came the scones! We opted for the all-butter scones as opposed to fruit-filled ones (I hate raisins!) They came with clotted cream and my FAVOURITE jam in the world: FIG! Nomnomnomnom I am drooling just thinking about it! The scones literally melted in my mouth and the fig jam and cream accompanied it perfectly. Lastly, we were given our final course of caramel and chocolate fondant cake. By this point, I had already taken 4 of the previous cakes in a doggy bag and had to add this chocolate cake to it! I was well and truly defeated! A second round of teas came and were swiftly guzzled! It was lovely having a fresh green tea along with the cakes as it definitely helped to digest the feast nicely, but soon enough we all needed a trip to the loos! "WOW". The only word that springs to mind when entering Sketch's loos! The low lighting and heavy atmosphere of the dining room is quickly dispensed upon entering the bright white of the bathroom. Two curving staircases lead towards a gang of huge, white, futuristic pods- the toilets. You enter your individual pod to release your......"matter".... whilst listening to a bizarre soundtrack of space communication noises and voices... The sinks are hidden away with perfect mirrors to take advantage of the unique room and bright lighting- SELFIE O'CLOCK! Snap snap snap, gotta get that multi coloured ceiling in... Snap snap snap.... One for luck... SNAP! Selfies achieved to high standards and it was time to exit and retrieve our doggie bags and coats. What a wonderful experience! 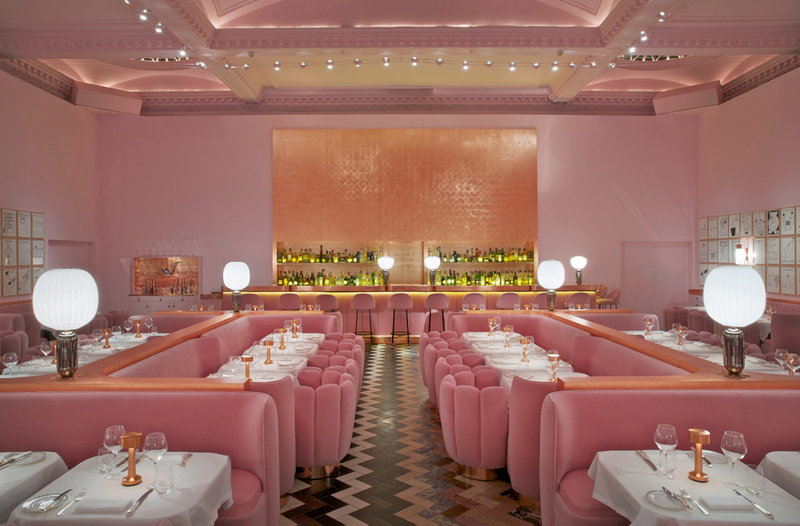 The staff/service, food and atmosphere screamed "high society" (a society I am unfamiliar with) yet, I still felt welcomed and happy to be amongst the tourists, the posh ladies and the quirky-venue-seekers. Would definitely recommend Sketch as a place to go for a treat. It is certainly not cheap, but it is worth every penny for the taste and experience.